This week's charts cover the period from January 28th to February 3rd. In the US, 101 Digital’s Color Bump still holds on to first place for free downloads on the App Store but moved down to second position for Google Play, with Words Story taking the top spot. Firecraft Studios made a splash with Matchington Mansion arriving into the charts in second place, while 101 Digital’s Hyperball settled for third. Ball Mayhem is the only new entry to appear on both the App Store and Google Play for free downloads at eighth and sixth respectively. As usual there was very little movement for paid games on the App Store with GTA San Andreas taking eighth place and Papa’s Freezeria Rebel claiming 10th. On Google Play, Team17’s The Escapists 2 made its debut in fourth spot. 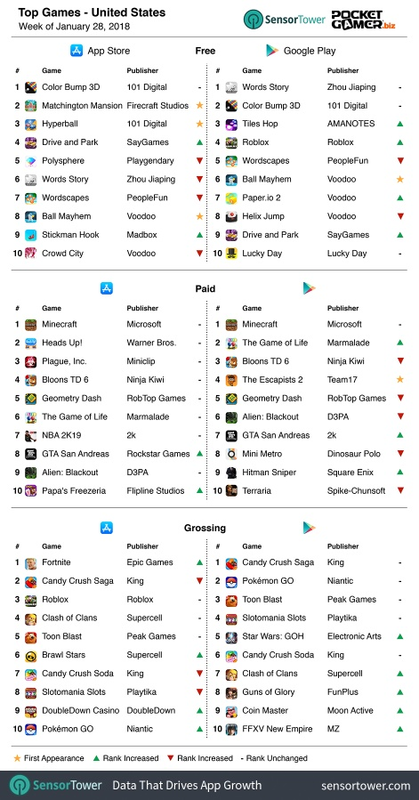 Over on the top grossing chart, Fortnite regains top spot from King’s Candy Crush Saga on the App Store, while Supercell’s Brawl Stars rejoined the top 10 in sixth. Google Play is a familiar story with only Star Wars: Galaxy of Heroes forcing its way back into the top 10 in fifth. 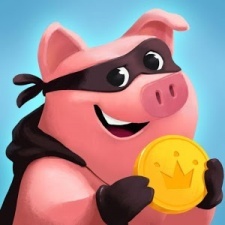 For the second week running Moon Active’s Coin Master has become the most downloaded game in Great Britain and Ireland across both the App Store and Google Play. The popular title also repeated its standings in the top grossing rankings by topping Google Play and staying hot on the heels of Candy Crush Saga in second on the App Store. Alien: Blackout meanwhile slid into 10th for paid downloads on the App Store. However D3PA’s take on the classic sci-fi movie dropped from fifth to ninth on Google Play. The Escapists 2 was again the only new entry to the paid chart on Google Play. 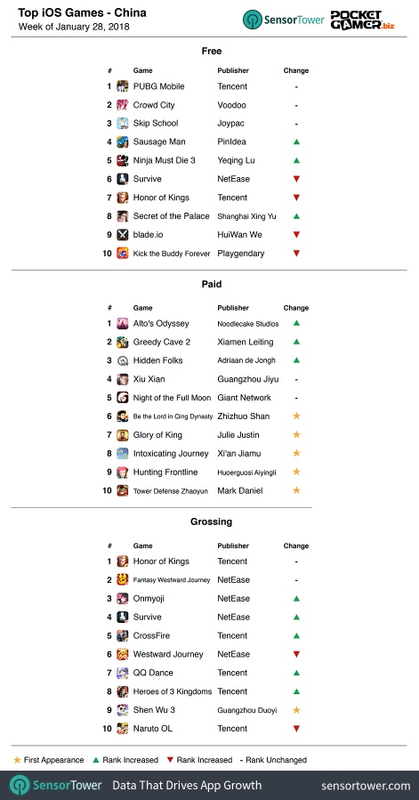 They said it couldn’t be done, but for the third week in a row another firm outside of NetEase and Tencent has made the top 10 grossing. Guangzhou Duoyi’s Shen Wu 3 has made its presence known by appearing in ninth place. Last week's top paid title was Ndemic’s Rebel, yet this week it has dropped out of the top 10 altogether.